Jorian Cunliffe brings sincere tenacity, a wealth of knowledge and industry experience to Commercial Real Estate here in Cairns. Jorian has a degree in computer science and programming, as well as an MBA in business, which proves to be invaluable towards marketing properties, helping clients and getting deals across the line. Stuart is an energetic sales and marketing professional who brings practical business knowledge and experience to the commercial property industry. He specialises in the sales and leasing of commercial office space, retail, D&C projects with a focus on industrial properties, and also in the sale of high value business enterprises. 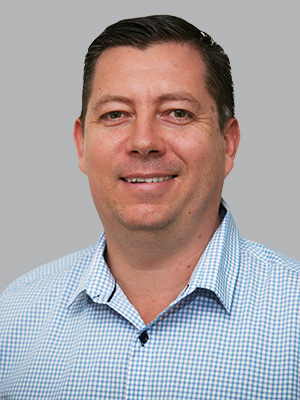 Stuart owns and operates Go Commercial Real Estate (Cairns) and provides a premium service to his clients, which has consistently demonstrated a sustained level of success with many notable and highly publicised transactions under his belt. Stuart worked at Colliers International for seven years and in previous life as an electronics technician and business owner / founder of Austek Communications, which provided him with a practical problem solving approach to commercial real estate. Fortunate to be able to let his creative side shine through with Go Commercial, Stuart is also a professional photographer, musician and private pilot. All Go Commercial videos are shot and edited by Stuart and it's this point of difference that get's results for his clients.